Although Regal Assets is an overall better option for anyone considering a Crypto IRA, BitcoinIRA.com is still a good alternative. At the time of publication, Bitcoin IRA had already obtained $10 million worth of bitcoins for its clients. They also were already providing (for two months) their second product--- the Ethereum IRA offering. This makes them the first company to offer both types of IRAs to their customers. Update: the company seemed to have added Litecoin, Bitcoin Cash, Ripple and Ethereum Classic to their roster! On this page, we consider the largest (by transaction value) and earliest Bitcoin IRA provider, the appropriately named Bitcoin IRA. As the original Bitcoin and Ethereum IRA company, the firm itself has been a cryptocurrency IRA industry leader since it launched in 2016 and has gained some major media attention as the likes of CBNC, Forbes, Barron's and dozens of others wrote about their offering. Since its inception, the company has added Ethereum, Ethereum Classic, Bitcoin Cash, Ripple and Litecoin to its roster of IRA-approved cryptocurrencies. Bitcoin IRA prides itself on the fact that it specializes only and exclusively in cryptocurrencies. It began its successful run in securing bitcoins for customers in July of 2016 when it acquired ten million dollars worth of them for Bitcoin IRAs. Back in April of 2017, they became the first company to offer Etherium IRAs in the world's second biggest cryptocurrency by market capitalization— ether. One of the arguments the Bitcoin IRA company makes has to do with the role of bitcoin and ether in retirement portfolios. They feel that the cryptocurrencies are the optimal hedge to dollar denominated assets like U.S. stocks, bonds, and real estate. It is the complete financial independence of the cryptocurrencies from the U.S. dollar that makes them such an ideal hedge to the world economy-dominated dollar. Do not think that the powers at Bitcoin IRA are putting down gold or its role as an alternative asset to the dollar. 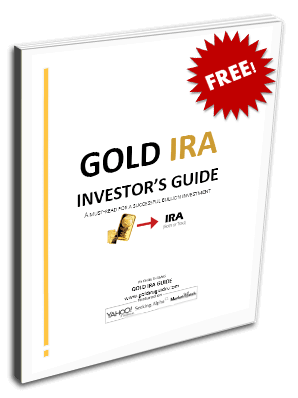 They fully acknowledge that many investors prefer the yellow metal as their IRA portfolio hedge against the financial malfeasance of the U.S. government. The company says that gold certainly provides investors with longevity and safety. They merely point out that gold does not deliver the spectacular and speculative price increase potential like the cryptocurrencies bitcoin and ether. For some reason, the Bitcoin IRA firms seem to keep the details of their operations' management teams a closely guarded secret. This is true of both Regal Assets-Regal Wallet and Bitcoin IRA. Each of them are also allowing information out on one of their key principals. With BitcoinIRA.com, this is their Chief Strategist Ed Moy. Mr. Moy is a huge endorsement for the company because he is more than just a former sales executive, entrepreneur, consultant, author, and public servant. He served as the 38th Director of the United States Mint during the tenure of President George W. Bush, from 2006-2011. Ed Moy brings to the job his educational background in economics, political science, and international relations. While heading the U.S. Mint, he supervised operations in the challenging years of the Global Financial Collapse and Great Recession, at the time of historically unparalleled demand for both silver and gold bullion. His tenure also saw the last days of the 50 state Quarter program, and the launching of both the National Park Quarters Program and Presidential Dollar Coins. He oversaw the development of the newly relaunched Saint Gaudens Double Eagle coin. All of these programs were so wildly successful that Moy's Mint contributed over a billion dollars in surplus funds back to the General Fund of the U.S. Treasury. Moy is also author of American Gold & Platinum Eagles: A Guide to the U.S. Bullion Coin Programs. Besides his heavyweight presence at Bitcoin IRA, the only other name we were able to come across for their management team is Chris Kline, the Chief Operating Officer of Bitcoin IRA. Chris is also an executive at Fortress Gold Group, suggesting some kind of unknown connection between the two companies. Kline writes many articles and gives a number of media interviews promoting the cryptocurrency revolution and Bitcoin IRAs. We like that Bitcoin IRA is offering a free Bitcoin investor guide with a great deal of useful information for anyone who wants to learn more about the cryptocurrency investment opportunities. They are not unique in this respect, as Self-Directed IRA industry leaders Regal Assets-Regal Wallet also provide this educational service. Both companies offer this helpful kind of report in exchange for your email address and phone number. Something that appears to be unique to Bitcoin IRA is their Bitcoin calculator, pictured below. This allows you to give them a hypothetical investment amount and year in which you would have invested it. It then tells you what the value of your bitcoin holdings would be today. You can see that since 2016, $5,000 invested on January 1st would as of time of publication be worth over $24,500. Obviously past performance is no guarantee of future returns, yet this is inspiring and encouraging for those who are still sitting on the sidelines trying to decide whether or not to invest their hard-earned retirement IRA dollars in the world's largest cryptocurrency. Bitcoin IRA does not elaborate on their account opening process except to show you how easy it is. They explain that it must be done via a custodian. Only a few of the IRA custodians will allow you to invest in the cryptocurrencies at this point. Bitcoin IRA will assist you in finding a custodian which is optimal for your unique situation. Opening the account they claim is a matter of simply filling in a form and then investing. With their firm, you are able to utilize either Roth IRA (after-taxed dollars) or traditional IRAs (pre-taxed dollars). They will help you to make the choice between bitcoin, ether, or a combination of the two by far (market cap-based) globally leading cryptocurrencies. Bitcoin storage is a critical issue no matter with which Bitcoin IRA firm you choose to partner. This is because if they are not properly stored and cared for, they can be hacked and stolen, wiped out in a natural disaster that affects the computers on which they are stored, or lost to a computer virus. Bitcoin IRA partners with BitGo to securely store all investor funds and bitcoins and ether units. They do not elaborate on the exact method of storage, whether it is offline, cold storage, or a sensible combination of the two as with Regal Wallet's bitcoin storage. BitGo does provide the following graphic below which demonstrates a clear competency and expertise in handling, processing, and storing the cryptocurrencies (of which they process over a billion dollars worth every month). The company sells both bitcoin and ether cryptocurrencies. They have started offering this second product Etherium as of late April, making them the first cryptocurrency company to roll out the Ether IRAs. Their initial rollout of bitcoin was so successful since they launched it back in June of 2016 that they purchased $10 million in bitcoins so far. The new product etherium is traded utilizing reference rate provider TradeBlock and its ECX Index. They obtain the necessary liquidity to buy and sell ether on behalf of their clients for their Self Directed IRAs by working with Genesis Global Trading. As mentioned earlier, BitGo stores all investor funds and the two cryptocurrencies which they offer their clients so far. Bitcoin IRA does not have as impressive a set of ratings as Regal Asset' Regal Wallet. This is probably as a result of the company Bitcoin IRA only being a year old, whereas Regal Assets (which stands behind Regal Wallet) has nearly a decade of track record behind it now. It explains why Regal Assets' Regal Wallet is the top rated of the three reputable Bitcoin IRA companies we reviewed. Still, Bitcoin IRA does boast a reasonably impressive A rating from the Business Consumer Alliance. In summary: Bitcoin IRA is the second rated company in our Top Bitcoin IRA firms list for 2017. At time of publication, Bitcoin IRA already had secured $10 million in bitcoins for its clients and was already offering for two months their second product the Ether IRA offering. This makes it the first company to offer both types of IRAs to customers. Here are the most important pages from Bitcoin IRA's website. You can read this information to better understand the company. It is critical to review all of the potential options before you make a bitcoin or other cryptocurrency purchase as part of your IRA investing strategy. You should have complete confidence in the firm with which you are entrusting your IRA assets and money. Buying bitcoins and ether for your IRA is a key decision. You can read the full reviews of other companies here. Do You Own/Represent Bitcoin IRA? If you are a representative of Bitcoin IRA and would like to get in touch with our reviewers in order to speak about the ratings, then use this contact form. Bitcoin IRA is the pioneer in the world of both Bitcoin IRAs and Ether IRAs. The company provides a free Bitcoin IRA guide. They offer both bitcoin and ether products in their self directed IRAs. As with Regal Wallet, the selection of cryptocurrencies is limited to the two biggest, bitcoin and ether. The fees for the administration and storage charges are not transparent. I give this company 100% for Customer support. They truly know all the inns and outs of their product. I was clueless about digital currencies in an IRA when I called them. Didn’t know how to start or how the whole process works. They literally took 2 hours on the phone with me to answer all my questions. Prices were reasonable given all the time they spent with me. Now I just hope the bitcoin price keeps growing!